Fishing is one of the most popular pastimes in the South, and for good reason! There are various types of fish located in most every lake to match each angler’s fishing style and skill level. Here is a list of some of the most common species you will find, along with their description and other names they go by. We’ve even included tips on how to catch each species for a little extra help you on your fishing adventures. These are one of the most sought after freshwater game fish, known for their fierce fight and determination once they are hooked. Largemouth bass are iconic fish their behavior after taking the bait. They actually leap out of the water in an effort to throw the hook! Largemouth bass commonly grow to 2-3 pounds, though 6-12 pounders are not uncommon. There are numerous baits and tackle popular among bass angers. These included spinner baits, live bait, jigs, and soft plastic lures like imitation worms or lizards. The largemouth bass is olive green in color with a series of dark to black blotches that form a jagged stripe along each of the flanks. Although this fish is very similar to its largemouth counterpart, it only grows to be around 6 pounds. One common method used to catch this fish is a lead head jig rigged with 3-4 inch plastic grub or even a plastic worm. These fish are aggressive and very common. Some anglers even argue that they put up more fight pound-for-pound than their larger cousins. Although native to North America’s Atlantic coastline, these fish are also comfortable in fresh waters, where they naturally migrate to spawn. Because they can live in freshwater, many lakes throughout the South have been artificially stocked with Striped Bass, or “Stripers,” as game fish. Since they are removed from their normal environment, most lakes containing these fish have to be restocked yearly, as the fish do not naturally reproduce without being able to travel up river. 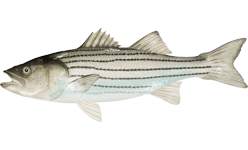 Stripers are even bigger than Largemouth Bass, and can reach weights of more than 50 pounds. 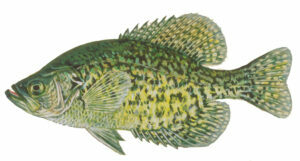 Crappie are a favorite among many fishermen, as they are abundant in population and often easy to catch. It is a flat fish with green, gold-ish sides and black spots. The crappie is the smallest fish to make the list. The best areas to locate this fish are around trees, brush or stumps that are submerged. To catch them, use small lead head jigs that offer plastic or feather bodies, or live bait such as crickets or worms. Most catfish weigh between 3-8 pounds but have been known to exceed 50 pounds. These fish are most active during the night hours. Some of the best ways to catch catfish is to use night crawlers, chicken livers, hot dogs or any type of “smelly” bait. This is because they have taste buds all over their body and can actually taste their food before they bite into it! Catfish have whisker-like stems coming out from their faces with a yellowish belly. Unlike the other fish listed, catfish do not have scales on their bodies and have a smooth, almost slimy feel. 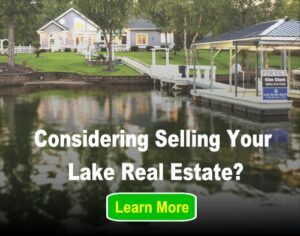 Are you an avid angler in the South? If so, what is your favorite fish to target? And check out our article on “Fresh Fish Recipes You’ve Got to Try“!